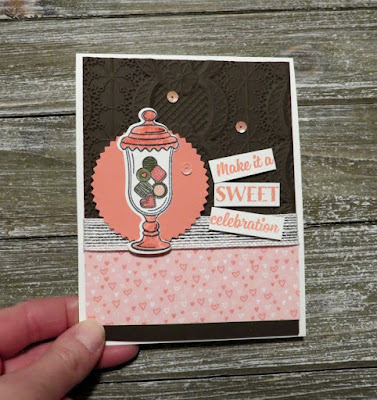 Karina's Kreations: Stampin'Up Sweetest Thing Chocolate card! 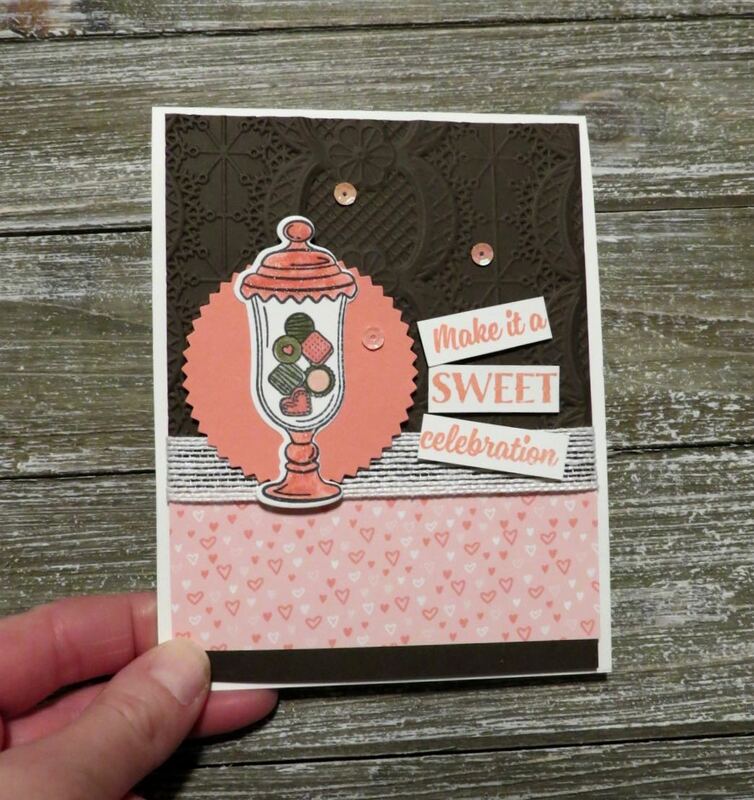 Stampin'Up Sweetest Thing Chocolate card! I love chocolates but I have never bought myself a chocolate stamp set. 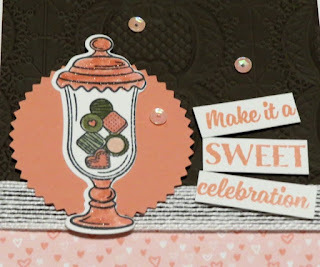 The sweetest thing stamp set has an image with chocolates on it so I created this fun card. The chocolates were colored with a Stampin' Write markers and I added a little Wink of Stella glitter pen to the top of the jars. 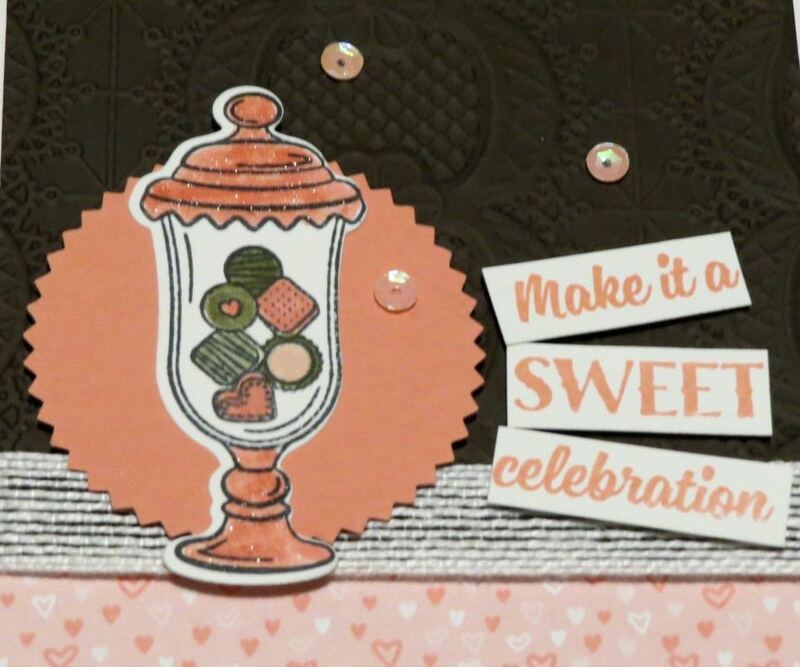 I used the new Lace Dynamic Textured Impressions Embossing Folder to create the pretty background. Here's the supplies you need to make this card. Click on a picture to go to my online stamping store.